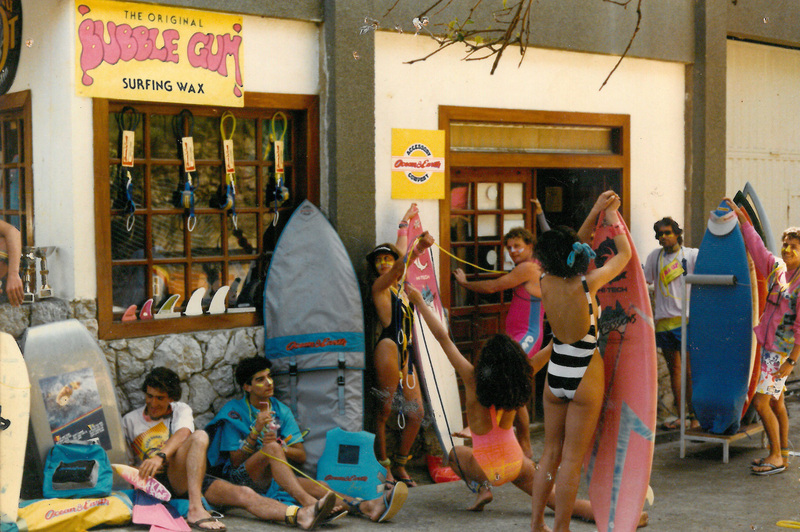 Mundaka Surf Shop, through the adjoining surf school, offers classes to those who would like to begin surfing, as well as to those who would like to improve their technique in this passionate sport. The school is open from March to October. 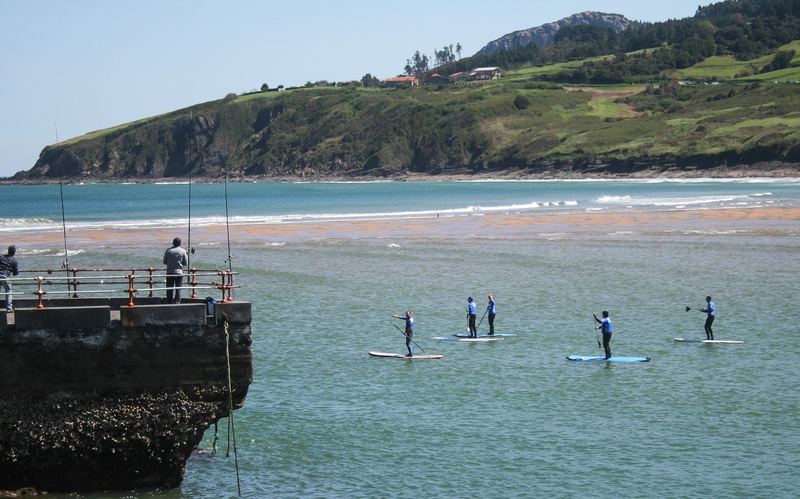 The conditions for surfing in these months are more safe and friendly, despite the ‘big wave’ fame that Mundaka is proud of. 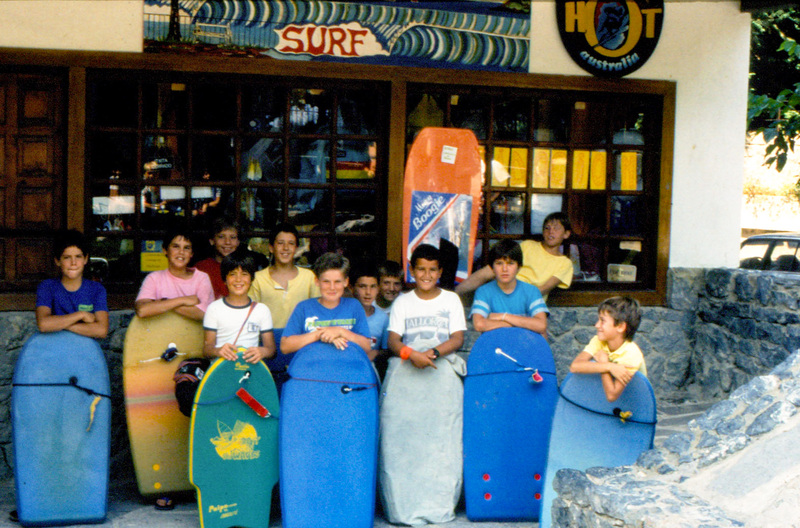 The school is located adjacent to the surf shop and close to the access to the beach. 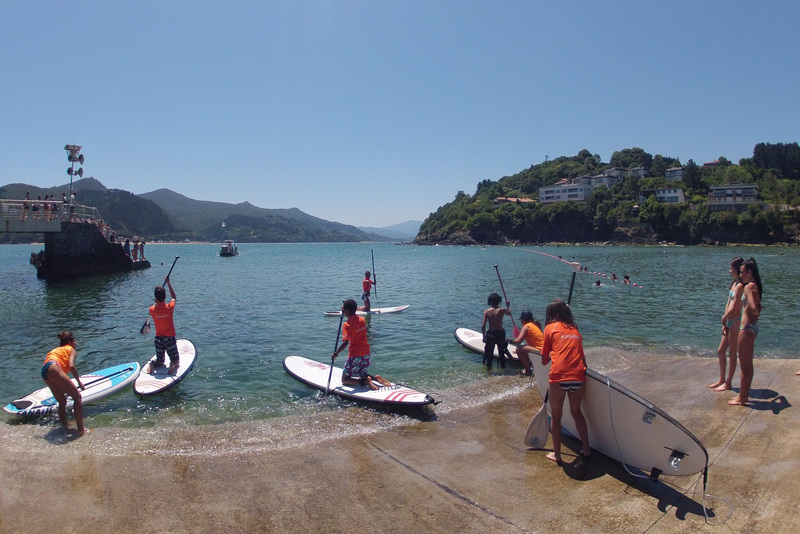 Classes are given in Laida which is one of the best beaches situated in the Urdaibai biosphere reserve and a very safe and ideal place to practice this sport at whatever age. 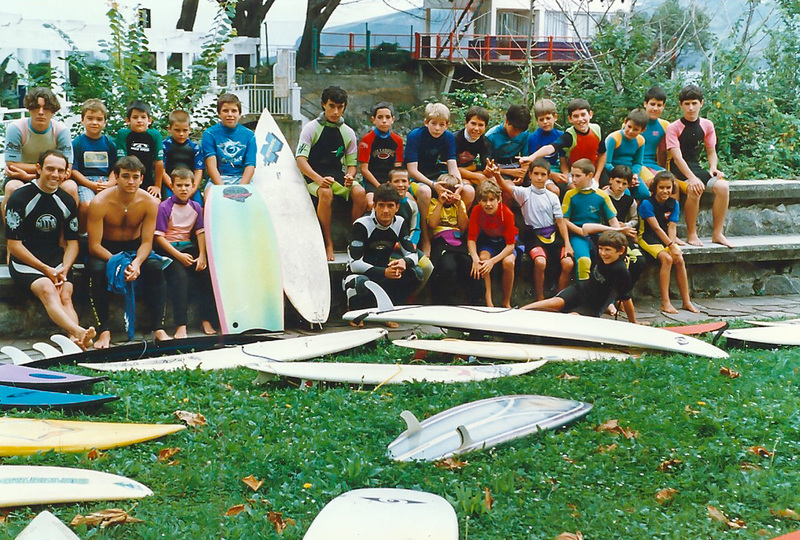 Our teachers are qualified instructors from the Basque School of Sport and the Basque Surf Federation (EHSF). They are professionals with more than 20 years of experience and very passionate about this sport. They transmit all their knowledge, teaching the very basics such as getting to your feet, catching the wave, etc. They provide safety and security combined with an unforgettable experience. Every day we cross the Mundaka river (approximately 100 mts) from Laidatxu beach reaching Laida beach. Once there, the instructions are provided on entering the water, safety rules and also some basic observations on currents, wind conditions, etc. The classes are run at low tide. The tide advances approximately 1 hour/day. Therefore, the time of the class varies every day according to the low tide. The classes are around 2 hours long. Courses can be from a basic 5-day course, 2-day weekend offer or even single days. 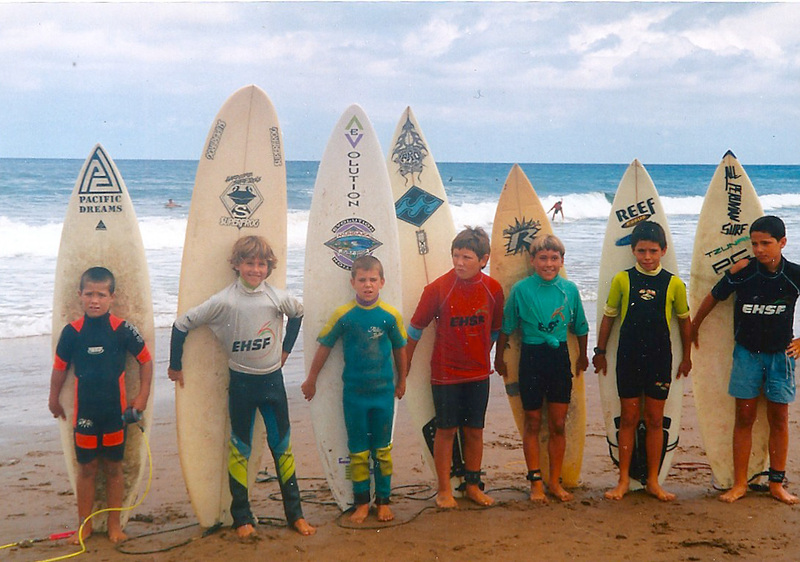 Individual surf classes can be consulted. Individual classes 40€/hr. The school has installations where the teachers fit everyone with the adequate board and wetsuit according to each person’s needs. You only need to bring a towel and boardshorts/bikini. In the school, we have also incorporated the new sport of Stand Up Paddle. Classes are given on the basics of getting to your feet and paddling in the area of Laidatxu (at high tide). This is a safe area, ideal for learning this sport. The access is close to the school, which is very helpful when moving around with big boards. 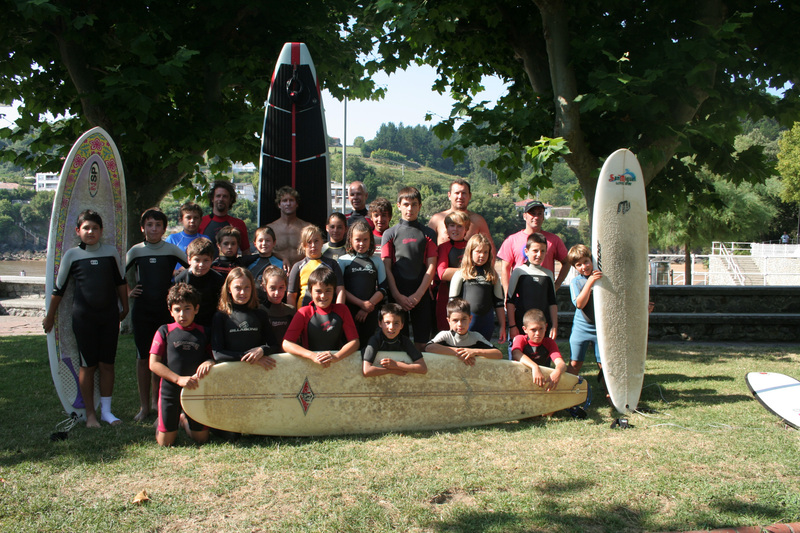 Classes are approximately 1 hour long and the cost with all material included (board, paddle and wetsuit) is 25€. Groups of 6 to 8 people can be arranged. We also provide the possibility of paddling down the river into the natural reserve in groups of 2 to 4. It is a great experience and an enjoyable moment even from the first class.